Having a dead car battery is, unfortunately, a common thing. You are not able to start your car or you are stranded by the side of the road unable to continue your commute. Your options are either to leave your car, call service truck or find somebody with working car and jumper cables. But, what if you don’t have those options or you are in a hurry? You’ll need a jump starter kit which will give you the power to start your car and continue in no time. With a jump starter kit in your car, you are safe and protected from this kind of problems. 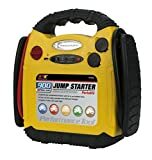 Follow our product reviews, buying guide and “how to“ article in order to learn all there is on jump starters and find the best jump starter kit to suit your needs. 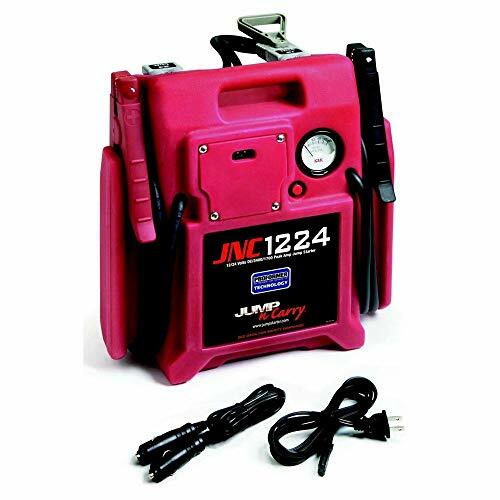 In the jump starter reviews, we have covered not only regular type jump starters but professional grade ones and different types for various uses in your car or truck. 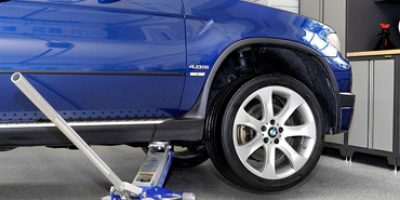 Jump-N-Carry’s more affordable and versatile product is JNCAIR made especially for car market and 12 volts applications. It features smaller and lighter battery and has 1700 peak amps and 425 crank amps which are more than enough for any car or SUV. It is also equipped with long cables which make jump-starting easy and manageable in any circumstances. An interesting addition to this product is an integrated air compressor with 12′ coiled air hose with screw-on chuck. This means that you can use JNCAIR for blowing your tires or another inflatable object when not in use as jump starter. Very practical solution and good addition to your car’s emergency kit so you can be prepared for any situation. Still, this product is not cheap but is quality made, versatile and compact enough so you can have it in your car at all times. The pretty hefty price tag for, we must admit, pretty good device in case of Jum-N-Carry JNC 1224. This is a typical jump starter kit of the new generation. It is compact sized and very strong with 12V – 3400 peak amperes/850 cranking amperes, 24V – 1700 peak amperes/425 cranking amperes. It works with 12 and 24-volt batteries which are good to know and it can be used not only for a car but for trucks and big machinery. In fact, this product is somewhere between very capable commercial and industrial grade jump starter and user reported that it has proven itself starting multiple heavy trucks without recharging. One interesting thing is the weight and at 40 pounds (almost 20 kg) is a pretty heavy piece of kit. However, the weight is good and heavier battery means more power and durability. If you need such a powerful and heavy device and you have need for stronger jump starters this could be a product for you. 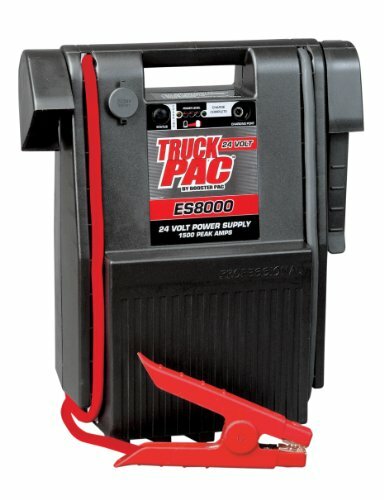 Somewhat less expensive but still not cheap is Truck PAC ES 8000 and this product is aimed directly at the truck and heavy machinery market since this jump starter is for 24 volts use only. So if you need a car jump starter try something else. It has 1500 peak amps and 400 cranking amps which are not so high number but good enough for most industrial uses. 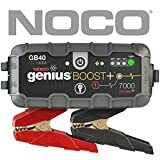 This product also features extra-long cables for ideal positioning during jump starting and industrial grade alligator clamps (copper) for maximum power transfer to the vehicle. Like the Jump-N-Carry JNC1224, it is heavy which means that the battery is made for multiple charges and constant industrial use on heavy machinery and in difficult conditions. Its impact-resistant case provides lasting protection and features automatic charging and battery status LEDs to make operation easy and convenient. 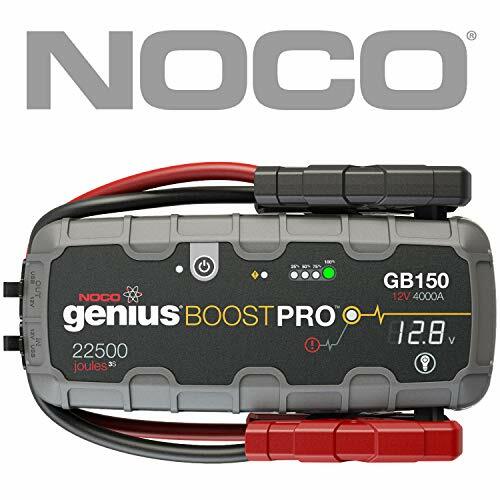 Very interesting product with multiple uses and innovative approach is NOCO Genius Boos Pro GB 150. First, it comes in very compact package about the size of shoe box if not smaller which makes it very easy to use and store not just in your trunk but in the interior of your car. It comes equipped with powerful lithium jump starter rated at 4,000 Amps however, those are peak amps and we don’t know what is the crank amps value. It is easy to recharge and comes with 12-volt charging jack so it can be recharged almost anywhere. Also, GB 150 has a usable LED light which makes jump starting a car in night conditions so much easier. You can also recharge your personal devices on the go, like smartphones, tablets, e-watches and similar just by plugging them into this jump starter. 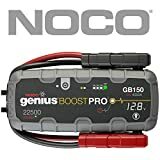 With so many purposes, the NOCO Genius Boost Pro GB 150 is really one versatile piece of kit and we recommend it if you need a “swiss army knife“ of jump starters and something that could start your car as well as your phone. Here we have a powerful, practical and internationally certified product that comes from the well-reputed manufacturer GOOLOO. 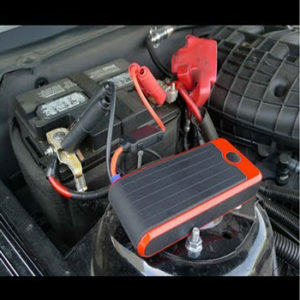 The company’s jump starter has 20800 mAh capacity and can charge all 12V cars, RVs, tractors and many more. In addition, the charging time is a lot faster compared to other jump starters, given the fact that this unit has 1000 amps of peak current. But you have to remember that this unit will not charge your car engine, it will just jump starts your car. And the maximum attempts you can make is 4 in 2 minutes. As for the functionality of this unit, let us just say that it has a compact shape and dimensions of 9.8 x 6.3 x 4.13 inches which will conveniently fit your glove box. Also, you will find the dual USB output really useful because it can fit almost all USB ports. That said, your electronic devices will never be left with low battery, which is especially important in emergency situations. Another thing we like about this car jump starters is the built-in security protection features which will guarantee your safety and the product’s perfect working condition. 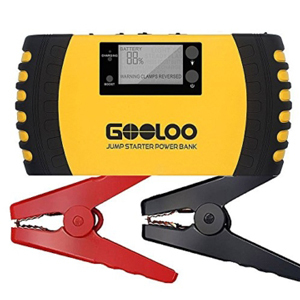 The GOOLOO car jumper starters is equipped with a built-in emergency flashlight working in 3 modes, LED screen, battery indicator and comes with a wall charger as well as a 12V charger. However, the 12V cigarette socket is not included in the package. 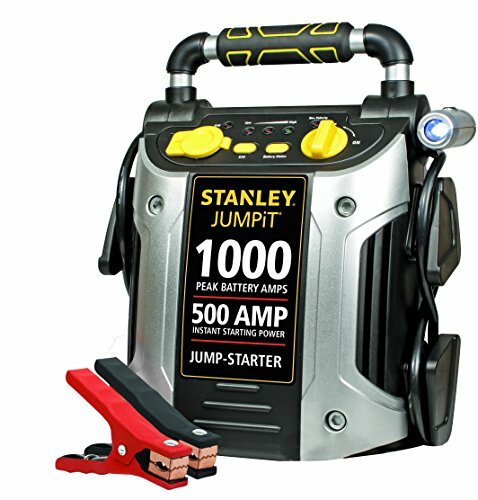 One of best choices on the market if you are looking for dependable and affordable jump starters is Stanley J509 and it is one of the devices we recommend to you. It has big battery capable of 1000 amps of peak power and 500 amps of cranking power which is more than enough for any car, truck or SUV since it is designed for operating on 12 volt systems. Offers both 12-volt and USB outlets to charge personal electronics and high-powered LED light that rotates 270 degrees and lights your way in nighttime conditions. The interesting and very important thing is reverse polarity alarm to alert when there is an improper connection. So if you accidentally connect positive (+) terminal with negative (-) cable the jump starter will alarm you and stop sending power to the car battery preserving itself and your car. The Stanley’s J509 is not only affordable but very good and versatile product that will certainly help you in any condition. One of the most compact products on the market is NOCO Genius Boost Plus GB40 which is soo small it can fit your glove box. However, this compatibility comes with the price, not necessarily in terms of money but in terms of power and it has 1000 amps of peak power and around 150-200 amps of crank power. So it is easy to see that this jump starter is aimed at the passenger car market with smaller engines since the crank power is not high enough to start a heavy truck or big engine. It has a safe and mistake-proof design with spark-proof technology and reverses polarity protection, which allows it to safely connect to any battery. It also comes equipped with ultra-bright 100 lumens LED flashlight with 7 light modes, including SOS and emergency strobe and this might come in handy in some cases. You can also recharge your personal devices on the go, like smartphones and tablets. So, even if this is not a most powerful device on the marked it is very compact and it can be a reasonable proposition for people with compact cars and small engines and space problems. Another portable and affordable product is Performance Tool’s W1665 which comes in compact package and 12-volt application but with enough power for almost any car. The W1665 is equipped with 900 peak amps and 400 cranking amps battery and also a 300 psi air Compressor/inflator for pumping up tires and inflating rafts, balls, air mattresses & other similar stuff. Standard features are reverse polarity warning light and beep signal help to prevent damaging unit or battery and three LED battery level indicator lets you know how much power you have left at all times and automatic shut-off prevents overcharging the battery. With great features, good power, compact size, and a nice price this is a recommended product for you. The users reported is is good quality and performs without any problems. 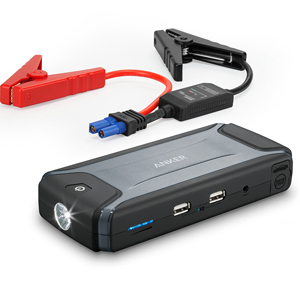 Another amazingly compact and affordable device with numerous functions and versatility is Anker’s compact jump starter. However, on a device this small you can not ask for big power and this 12-volt system jump starter has peak amps in 400 range with around 100-150 crank amps which are only good for smaller-engined cars up to 3 liters and smaller. This product has jacks for charging your smartphones and tablets and it has a usable LED light. However, we wouldn’t recommend this product to you. It is good for micro cars and charging your phone but it is not something you can depend on in a case of trouble or emergency. Whatever car you have and whatever is the size of your engine you need a bigger and stronger jump starter and this is not it so we recommend to you to search for some other products. Whatever car you have and whatever is the size of your engine you need a bigger and stronger jump starter and this is not it so we recommend to you to search for some other products. We do not recommend this product since it is not so cheap and there is really not much information about it. We only know its peak amps (2200) with 330 cranking amps and 275 cold cranking amps which are not so high number but good enough for most cars. It is for use in 12 volts cars and machines and comes equipped with a set of cords for charging. The users reported that this jump starter kit works good and there are any big issues with it. However, since we don’t know full specifications of the product, manufacturer or type of battery, we can not recommend you buying it. So you should turn to some more popular alternatives on jump starter kit market. 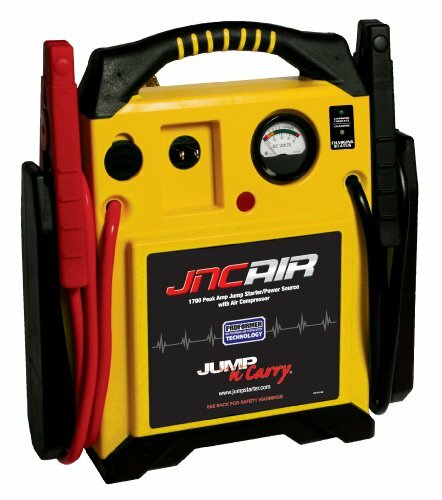 Another good jump starter product designed for car use is Jump-N-Carry JNC 660 which has 1700 Peak Amps, 425 Cranking Amps (good enough for most cars, SUV, and trucks) and innovative color performer battery technology. It comes equipped with voltmeter provides charge status of the onboard battery and DC outlet to power 12-volt accessories (smartphones and similar devices). There are three versions available all with the same power but the top version has air compressor. However, the top version is somewhat expensive and not of three options doesn’t offer a reverse polarity alarm to keep you from connecting the jump starter with the car battery the wrong way. It comes in a relatively compact package and low weight and users reported no real problems with this product so you should take it into consideration when buying jump starter for your car. Before we start we should explain to you the difference between jump starters and battery chargers. They are similar but their use is totally different. Battery chargers are electric devices which you use in your garage to charge the car battery for stationary cars. You can use it for a car which is left to sit for long or for overnight charging of your car so you’ll be set to go in the morning. On the other hand, jumper starters are the practical and mobile kit which you can carry in your car and it will jump-start a car if needed. The basic construction of both products is similar to a high powered battery with two cables but their use is different. In this article we are concentrating on jumper starters only and here is the buying guide. There are a lot of different car batteries on the market suited for different specification cars. It is important to know what size is your car battery and what is the voltage of your car’s electrical system in order to buy a perfect jump starter kit. Most of the modern cars use the 12-volt electrical system but some vehicles use the 24-volt system. On the other hand, the wattage index (amp) is very important since it shows how really strong your jump starter is. You have to understand the difference between cranking and peak amps. Peak amps are the highest power that your jump starter could produce but it can only produce it in an instant for a short period of time and this is not a true measure of power. 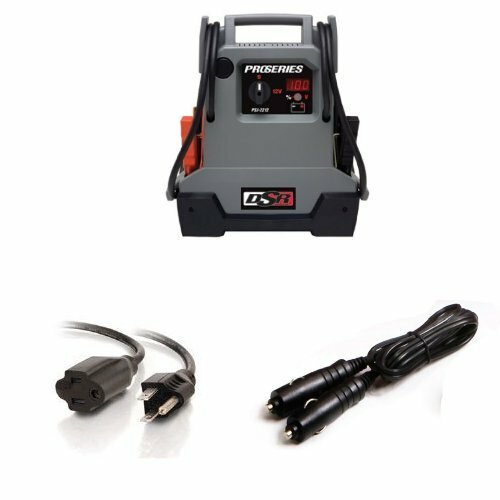 The cranking amps power is a more realistic number and it represents the power of jump starter for a longer period and its true index of the device’s power. Bigger engines have proportionally bigger car batteries and the size of the engine is very important in choosing the right jump starter kit. Of course, diesel-powered engines have much bigger car batteries compared to the similar gasoline powered ones. In that case, you will need a stronger jump starter system. Here is a small table of power values of jumper starters (cranking amps) only to help you choose the best for you. In the last few years, there are a lot of really practical, compact size and multifunctional jumper starters on the market. You can get a product which can be charged while you driving or with multiple accessories such as air compressor, light or phone charger. If you are in need of one thing that can do a lot of things, this can be an interesting solution for you. There are even some products that are small enough to fit in your glove box and are the size of a smartphone. Since you working with the high power electricity it is wise to buy a product with safety features like short circuit protection or over-current protection. Choosing a product with these options will keep you safe and avoid damaging the jump starter or the vehicle which is a very important thing. The jump starter kits are generally easier to use than jump-starting a dead battery using another car. However, there are some important things to know before you do it and following these instructions will help you successfully achieve your goal every time. The first and most important thing is to connect the jump starter with the car battery the right way. Look for red cable and connect it to the positive (+) terminal of your battery. Do the same with the black cable and connect it to the negative ( – ) terminal. If you don’t do it like this, the starter will not work since the power will not transmit properly. In the worst case scenario, you can cause a short circuit and break jump starter or even start a fire so keep that in mind. During this process, the jump starter should be off. With the cables in the right position and firmly connected to the terminals of the car battery, you can turn the starter on. If you got a high power unit, adjust the power to the size of your engine or it will do it automatically if the starter is equipped with over-current protection. After the preparations, it is time to start the car by cranking. If everything is ok, you will be able to start your car in a matter of seconds. If the car is not starting after 5 seconds of cranking you should stop and try again. 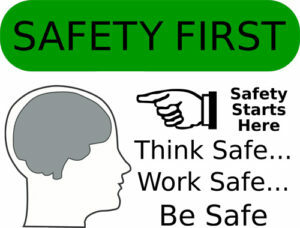 Repeat the process a few times and if nothing happens to see if the problem is elsewhere not the battery. Long cranking should be avoided because it will only put the stress on your car starter but it will also drain the jumper starter kit. You should leave the jump starter to rest for a couple of minutes between unsuccessful cranking in order to recuperate power for next try. After the use, you should recharge your jump starter in order to have it full for next time and to be safe that you will have enough power in emergency situations. Starting a car using a jump starter kit is a perfectly safe and normal way and it is basically the same as jump starting using cables and another vehicle. However, if you had a hard time starting a car and you used a powerful starter you should go to check if your battery is in good condition. Are You a “Do it Yourself” Type Person? Then you should also check Torque wrenches! 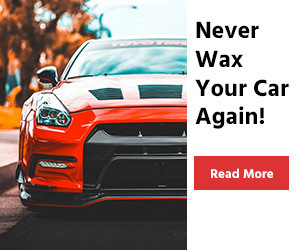 You can never really depend fully on your car battery and there is always a risk of not starting your car in the morning or losing electrical power on the road. In that case, you’ll need a jump starter kit so you continue your trip without any problems. 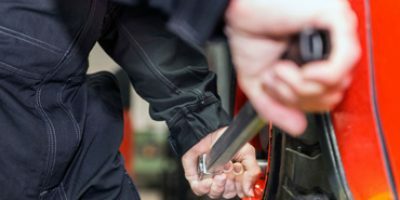 However, choosing the best jump starter one for you can be tricky and there are a lot of things you should take into consideration such as peak power and cranking power as well as size, weight, and the price. This is why you should read our buying guide and “how to“ article as well as out jump starter reviews so you can learn all there is to the topic of jump starters and find the right kit for you and your car.